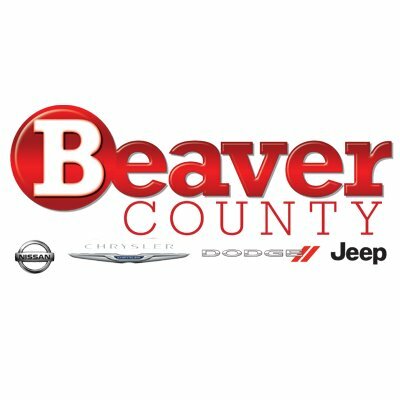 Beaver County is filled with great places, spaces, and people. Your health is our concern, too. That’s why we’re participating in Stroke Awareness Month. The initiation of Stroke Awareness Month began in May 1989, when President George Bush Sr. first declared May as American Stroke Month. The American Stroke Association and the National Stroke Association are two entities who reach out during this time and throughout the year, providing the public with information regarding the importance of prevention and action, if a stroke does occur. A stroke is also referred to as cerebrovascular accident or CVA, and happens when blood flow to the brain is cut-off. The brain receives 15-20% of a body’s blood supply, so any time it’s route is interrupted, major damages can occur. In a stroke situation, this can happen in one of three ways: ischemic, hemorrhagic, or cryptogenic. An ischemic stroke happens when a blood clot or mass blocks blood flow, while a hemorrhagic stroke is when a weakened blood vessel ruptures, or breaks open, causing blood to leak into the surrounding area instead. When a stroke is labeled as cryptogenic, unfortunately, they are unsure of the cause. According to Heritage Valley Health System’s Community Needs Assessment of May 2013 and the Pennsylvania Department of Death and Cancer Statistics, in 2009 and 2010, CVA is the fourth leading cause of death in Pennsylvania and Beaver County. In 2009, stroke caused 6.1% of the deaths in Beaver County and in 2010, 5.6% of deaths. However, most strokes cause injury and disability, rather then death. How Can We Prevent Strokes? 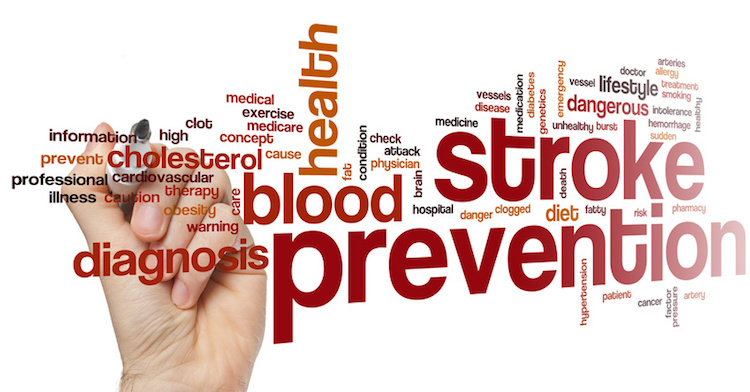 According to the American Stroke Association, 80% of all strokes are preventable. The most important way to prevent a stroke is to control the risk factors. Hypertension is the number one controllable risk factor of CVAs. Hypertension is elevated blood pressure, with sustaining readings of 140/90 or higher. ASA states that, “a 10-mm Hg drop in systolic blood pressure (the top number in your reading), or a 5mmHg drop in diastolic pressure (bottom number) can cut your risk of stroke death in half.” Other modifiable risk factors include diabetes, irregular heart rhythms, obesity, and smoking. The average smoker has a 2-4 times greater risk of having a stroke, but quitting for ten years or more cuts those odds in half. When a risk factor is considered controllable, it referring to the individual’s ability to become healthier and not allow the disease or diagnosis to get worse. For example, with diet and exercise, an individual can lower their blood sugar readings, even with a diagnosis of Type 2 diabetes. Hypertension, or high blood pressure, as the biggest risk factor, it is important to know how to manage this condition. The most important step is to know what your blood pressure readings are and to follow-up with your PCP, or primary care physician. They will be able to diagnosis the condition and prescribe any medications you may need. Make sure to take all medications prescribed regularly and at the times they are due. A healthy diet, filled with fresh fruits and vegetables, and low in salt, is also important. Beaver County is filled with great resources to help improve its residents’ health, such a farmers markets spread throughout the area, walking trails and parks, gyms, and fitness programs. While prevention is the goal, it is important to know what a stroke looks like and what to do. Act F.A.S.T. Facial Drooping. The best way to see if this is happening is to ask the individual to smile. They may also complain of one-sided numbness. Arm weakness. Ask the individual to place both arms straight in front of them, one may start to drift downward. Again, they may also complain of numbness in one arm only. Speech difficulties, like slurring. They may not make sense or cannot speak at all. Time to call 9-1-1. Noticing symptoms quickly and calling for help immediately. They are losing 2 million brain cells a minute, so every second counts. It is important to look at what happens if an individual does suffer from a stroke. Depending on when treatment is initiated and the severity of the CVA, the stroke victim may suffer residual effects, or complications. Complications include and are not limited to, the inability to use one or more limbs due to weakness or paralysis, dysphagia or difficulty swallowing, dysphasia or difficulty speaking, and vision problems. 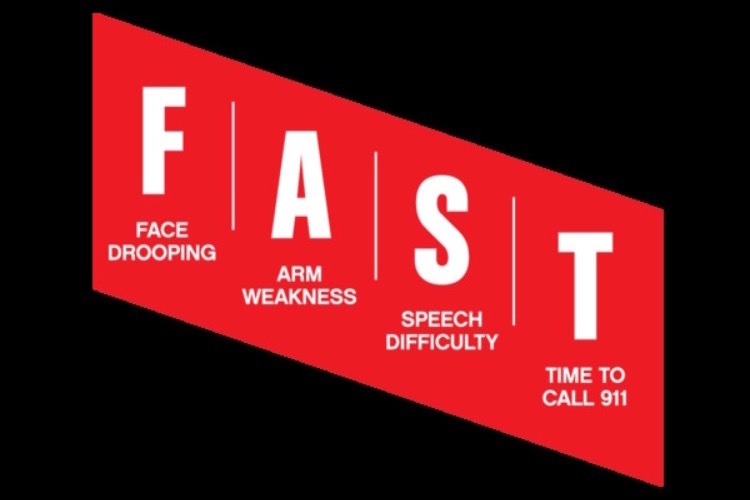 Often times, once treated in the hospital, the stroke victim may need additional care in a skilled or rehab facility, depending on the severity of their condition. There the focus is on therapy and recuperation, enabling them to hopefully return to their baseline, or previous state, prior to the CVA. If you are looking for more information regarding CVAs and its risk factors, check out the American Stroke Association and the National Stroke Association’s websites. Born and raised in Beaver County, Whitney graduated from Geneva College, is a nurse at the local hospital, and still resides in the area. She is looking forward to training her daughter in the ways of Beaver County…such as Hot Dog Shoppe chili dogs, Midland Fourth of Julys, and pierogies. Follow her on Instagram @wandering_wannabe for her local and not so local favorites.